In this episode of Inbound Sales Journey, Ryan and Gray debate the pros and cons of creating courses at your agency. If your agency is successfully selling services, why should you consider a course? Here’s what Ryan and Gray had to say about it. Ryan’s position is that courses are a great premium content offer to offer as an agency. You can make it free but it'll set you apart from other agencies. It’s also a tool to educate prospects and establish your position in the marketplace. It could be built around a pain point that the client is facing and a key part of the strategy. If it's a paid course, you can make some money off prospects that may not be the best fit as clients. And if they are ideal clients, you get them used to paying you and overcome that barrier. You are bale to get paid to teach. Gray’s position is that clients are approaching agencies for a skillset or people to do something. Taking a full course to learn how to do it themselves isn't necessarily solving the pain. There’s also the chance it’ll attract lower tier prospects. This could become a waste of time. But it’s something worth experimenting with as an agency. Ultimately it depends on the clients you’re targeting, budgets they’re working with, their staff needs. 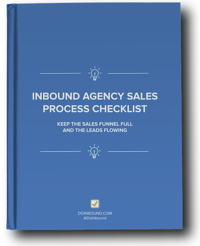 You want to put it as part of your sales process. It needs to be leading towards your services, products and completing a sale. Make sure there’s alignment with and stay focused. If you’re getting bad feedback, you can always adapt the course to fit it if it’s worthwhile. We didn’t have any course examples in the agency space, so if you’re offering one hit us up and let us know how it's working!